The clock reads one minute to midnight as Liberal MPs Brenda Shanahan, left, Randeep Sarai, Ramesh Sangha and Darrell Samson rise to vote during a marathon voting session as it continues into the night in the House of Commons on Parliament Hill in Ottawa on Wednesday, March 20, 2019. 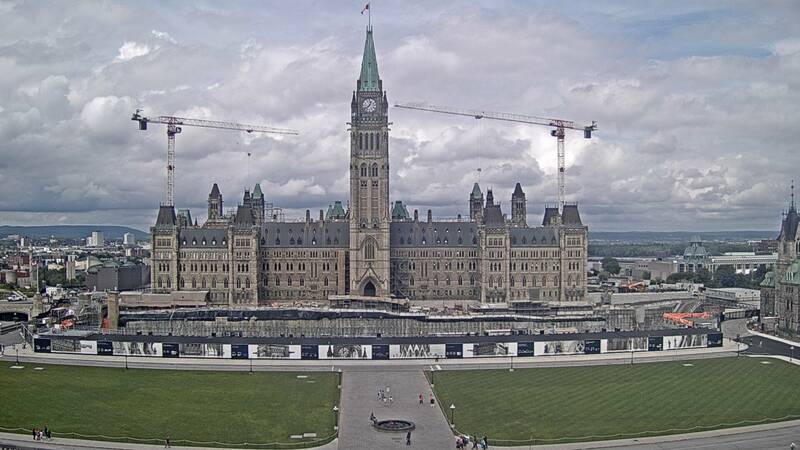 Members of Parliament are continuing their marathon voting session as opposition parties protest the Trudeau government's efforts to shut down any further investigation into the SNC-Lavalin affair. That set the stage for a Conservative-sponsored filibuster Wednesday night, requiring 257 separate votes on items in the government's spending estimates. Former Treasury Board president Jane Philpott is adding more fuel to the fire in an interview with Maclean's magazine. She says in the interview that there's "much more to the story that should be told." Philpott resigned from cabinet over the government's handling of the SNC-Lavalin controversy earlier this month.